Where do they come from? From the city of Harbin, a city in the northeastern region of the People's Republic of China. 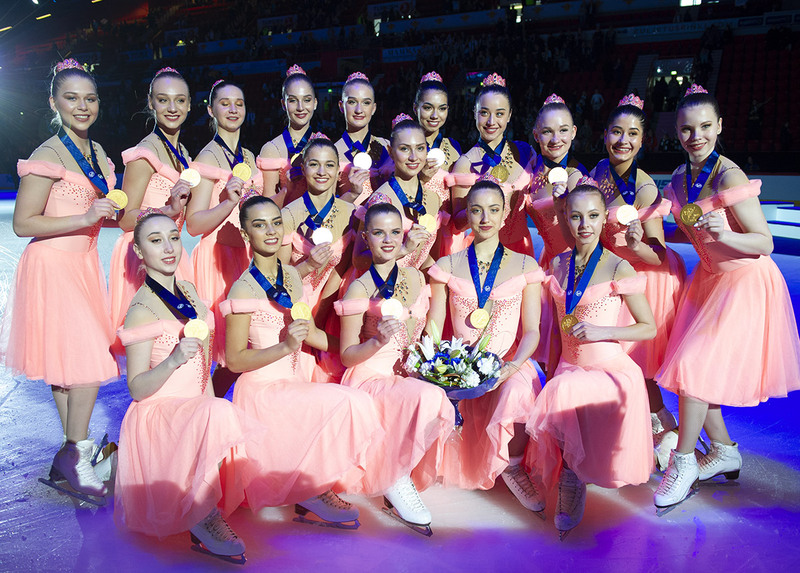 Why a synchro team? First, the team was formed in anticipation of the 2022 Olympic Games in Beijing. "The auditions were complicated because nobody knew the sport," said coach Hongyan XI. Now, apart from the Senior team, twelve new Novice teams have been created in China. Their training? The team trains six hours each day from Monday to Friday and still has two hours on the weekends. Who are the athletes? Former ice dancers, figure skaters... "Seven of our skaters come from Speed Skating and Short Track," says the captain, "a few skaters are learning how to make steps and turns because they are coming from other skating disciplines". Coach Hongyan XI, Team Manager Feng Huang and team captain Yue ZHAO in the corridors of the Finnish stadium. / Credits: Jura Synchro? The most difficult element? "The Twizzle element! As some of us come from different disciplines, they have to learn how to turn," said Captain Yue ZHAO. Who is the coach? Hongyan XI, a former ice skater who competed for China at the 1984 Olympic Games. She has been coaching for several years and has already trained several skating stars in China. Team goals? "Learn more," answer at the same time the Chinese leaders. The goal may be to present a program at the Olympic Games Gala. "The Chinese government has focused on Winter Sports and in our country we love team sports. 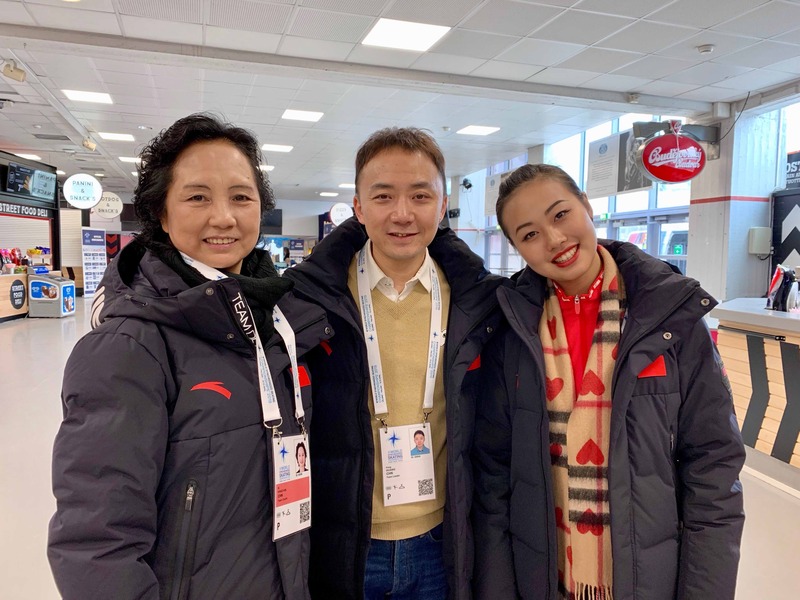 For us, synchro is really more fun," says the team manager Feng HUANG. What future? 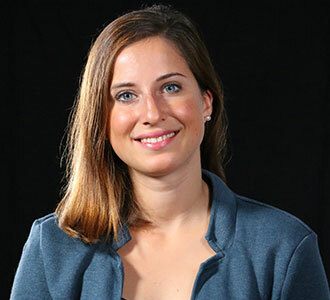 After these World Championships, the team wants to continue working and learning the sport. "We would like to be able to participate in more international competitions. We are a very young team and we still need experience. The goal in the future is to show this discipline of skating," says Yue ZHAO. 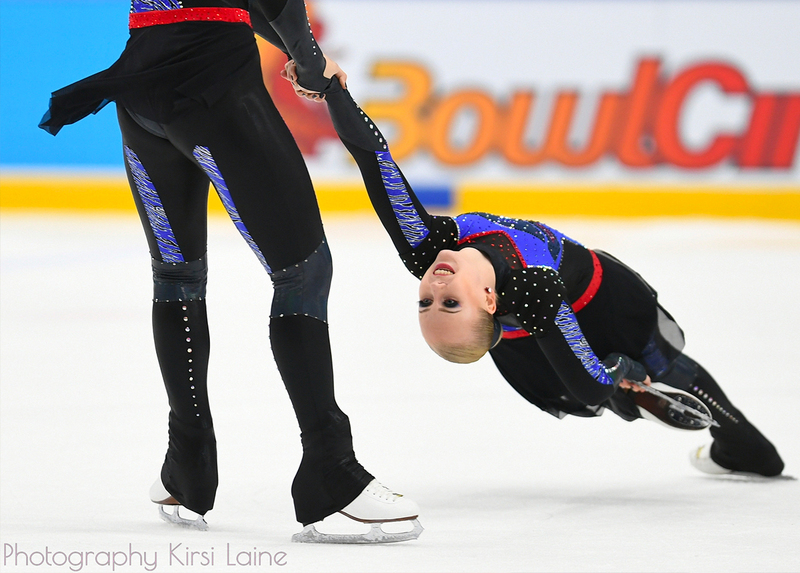 Team Ice Pearl will start again the competition on Saturday afternoon at the Senior World Championships. The start of the competition is scheduled at 13:45 Finnish time.